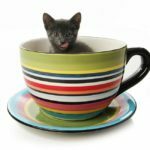 You are here: Home / Cat Facts & Fun / Do Cats Always Land On Their Feet? Do cats always land on their feet, or do they sometimes suffer a falling fail? 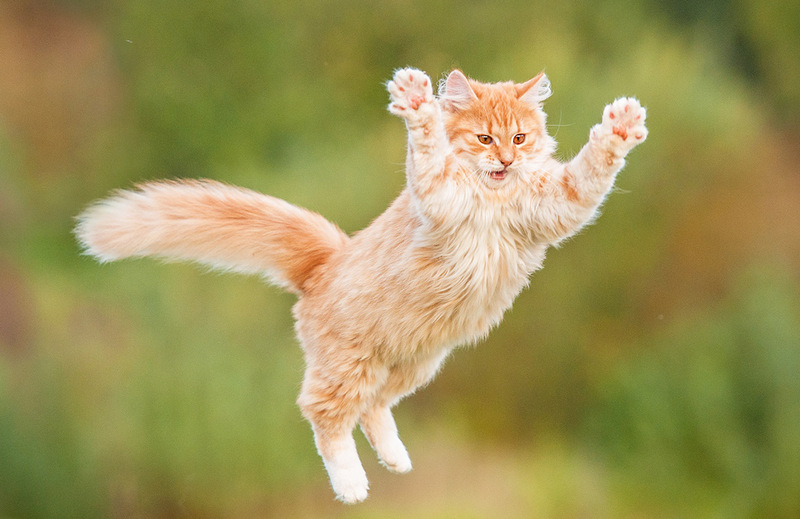 We take a look at how cats fall, and why it’s not always a happy landing. The ability of falling cats to right themselves has long been a source of fascination. We’re all familiar with the old adage that a cat always lands on its feet. I’m sure I’m not the only one who has flinched as my cat lost its footing in a tricky spot, and braced myself for a nasty fall. Only watch in shock as it landed on all four paws, then sat down for a sheepish wash. But do cats always land on their feet, or is it just a popular myth? How do they manage it, and can all cats do it? In this article we take a closer look at this clever survival reflex. Cats have an amazing ability to stay the right way up. And it’s referred to as the ‘righting reflex’. Because it’s what helps them to turn the right way up! 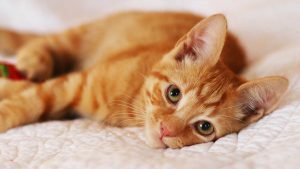 The sensory mechanism which tells a falling cat to turn itself the right way up is not limited to specific breeds of cat. In fact, it’s not even limited to cats! Most mammals, including humans, have a righting reflex which tells us to correct our balance if we wobble out of the upright position. The reflex is triggered by signals from tiny hair cells deep in our inner ear – the body’s own tiny gyroscopes. But there’s a big difference between you and I simply recognising when we’re not upright, and our feline friends repositioning themselves in mid-air whilst falling. And that’s why the cat righting reflex is in a league of it’s own. All cats receive signals from their inner ear telling them to right themselves as they fall. And the physical manoeuvre begins with the head too. Every observation of a falling cat shows that they follow the same sequence of movements, in the same order, every time. First the cat’s head rotates into an upright position. Then its spine bends and twists from the middle, first allowing the torso to realign with the head, and finally for the hindquarters catch up. Then, if those signals from the inner ear still tell the cat that it isn’t quite straight, the cat will repeat the same sequence of movements to perfect its position. This sequence of movements has been captured in hypnotic slow-motion by National Geographic Magazine, and it really is beautiful. The movement flows along their body from top to tail, in a predictable motion. Cats are able to complete these movements so rapidly because their spines are long and flexible – they have thirty vertebrae to our twenty-six. 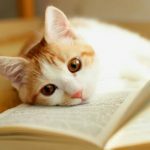 Do Cats Always Land On Their Feet In Scientific Studies? 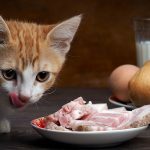 It’s not a surprise then to learn that scientists have also long been interested in the cat righting reflex, and from their research we have learned some more fascinating details. And they have been researching it since the early 1990’s, if not before! In 1998, whilst proposing a mathematical model for the dynamic principals behind the cat righting reflex, Huy Nguyen also proved that tail-less cats like the Manx cat always land on their feet too. And in the 1950s, an American team even went so far as to test whether the reflex works in zero gravity. Their findings confirmed the importance of gravity for stimulating the hair cells in the inner ear which trigger the cat righting reflex. They also showed that cats don’t need to be able to see their surroundings to land on their feet – they can do it blind-folded too! 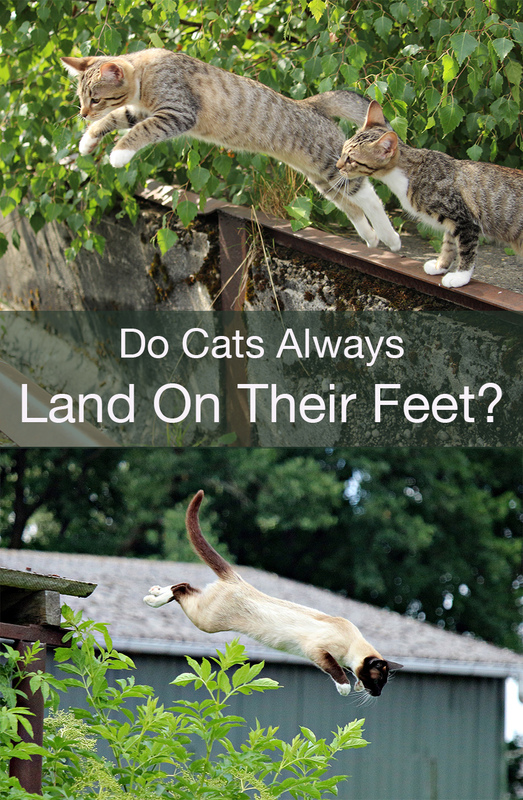 So WHY do Cats Always Land on their Feet? Now we have looked at how cats land on their feet, but let’s also consider why they developed this impressive skill. Cats as we know are accomplished predators, who will happily climb trees in the pursuit of small mammals and birds. When a cat hunts it prey above the ground, falling back to earth is an occupational hazard. 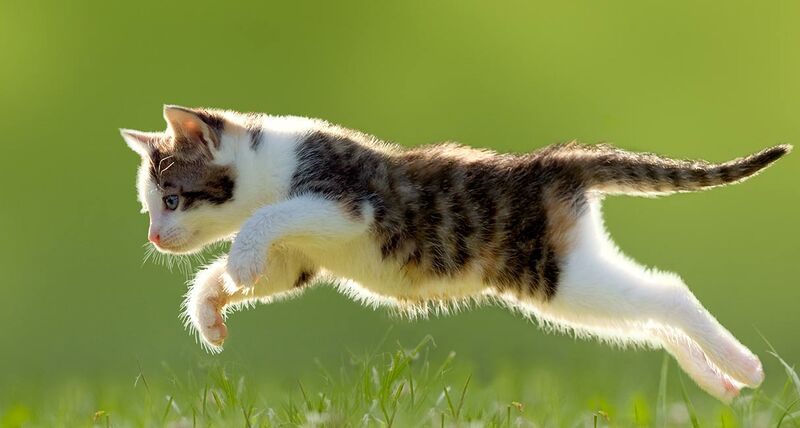 By righting themselves in mid-air and arching their backs, cats use their bodies as parachutes to reduce the speed at which they hit the ground. 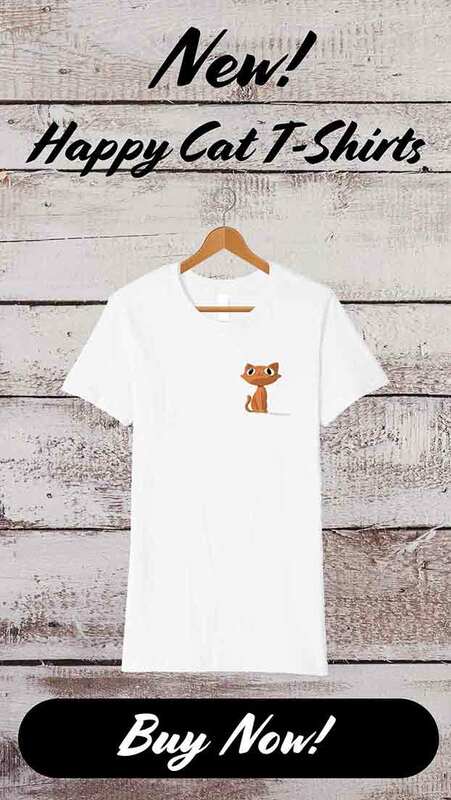 Cats also have light bone density compared to other mammals, and furry coat, which further reduces their speed on impact. And a softer landing will result, hopefully, in fewer injuries. So quite simply, those ancestors of the modern day cat which were better adapted to survive a fall would have lived to have more kittens, and thus gained an evolutionary advantage. But does the Righting Reflex Always Save the Cat? Well, unfortunately not. 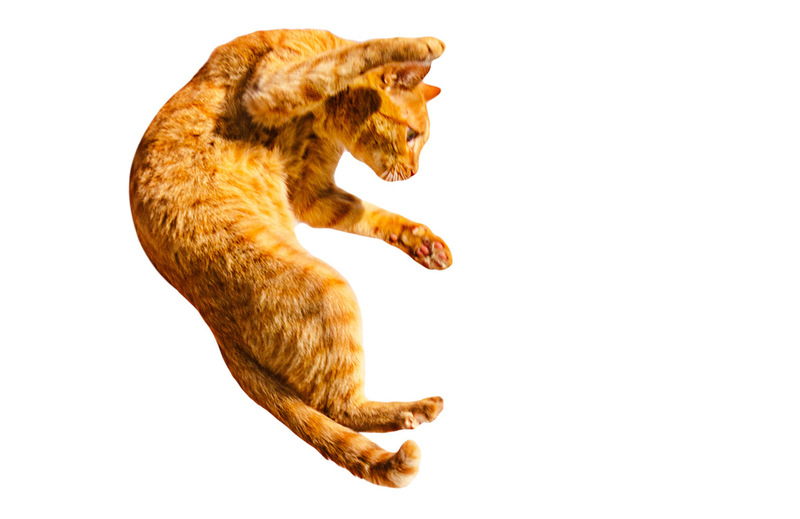 We’ve seen that all cats possess the reflex to try and land on their feet, but a falling cat won’t always manage it in time. This could be because the cat misjudged its position in the air. Or perhaps an older cat had lost the necessary physical agility. Sometimes they misjudge the landing surface, and end up with serious injuries such as impaling. Another important factor is the height the cat fell from, and we’ll explore the importance of that now. It is generally accepted that the minimum distance a falling cat needs to right itself before landing is around 30cm. Remember – the cat might not right itself completely in one go, but check itself and repeat the same movements several times before it is upright. But sometimes cats fall from much greater heights. In March 2012, the Boston Globe ran a story about a cat called Sugar. Squeezing through a window that had been left ajar, Sugar fell 19 storeys to the ground. And survived with only bruising. 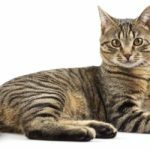 When a cat falls from more than two stories (or around seven to nine metres) vets have given it a special name: High Rise Syndrome. The name derives from the fact that such falls are more likely to occur from tall buildings made of smooth materials, rather than from a tree, where they are more able to recover their grip if they slip. So successful is the cat’s ability to land on its feet, that a team of vets in Croatia who recorded 119 diagnosed cases of High Rise Syndrome over a four-year period found that 96.5% of those cats survived the fall. And in 1987, New York vets Whitney and Mehlhaff reported an intriguing phenomenon: cats which fell from between seven and 21 metres were more likely to suffer serious injuries than cats which fell from more than 21 metres. Whitney and Mehlhaff postulated that cats which fell more than 21 metres reached terminal velocity during their fall. At this point, they were no longer able to sense acceleration, and so relaxed their muscles, which reduced their injuries. All cats will instinctively attempt to land on their feet if they fall. Whether they succeed will depend on the height they fall from and the individual cat. Landing on all four paws does not necessarily guarantee landing without injury though. 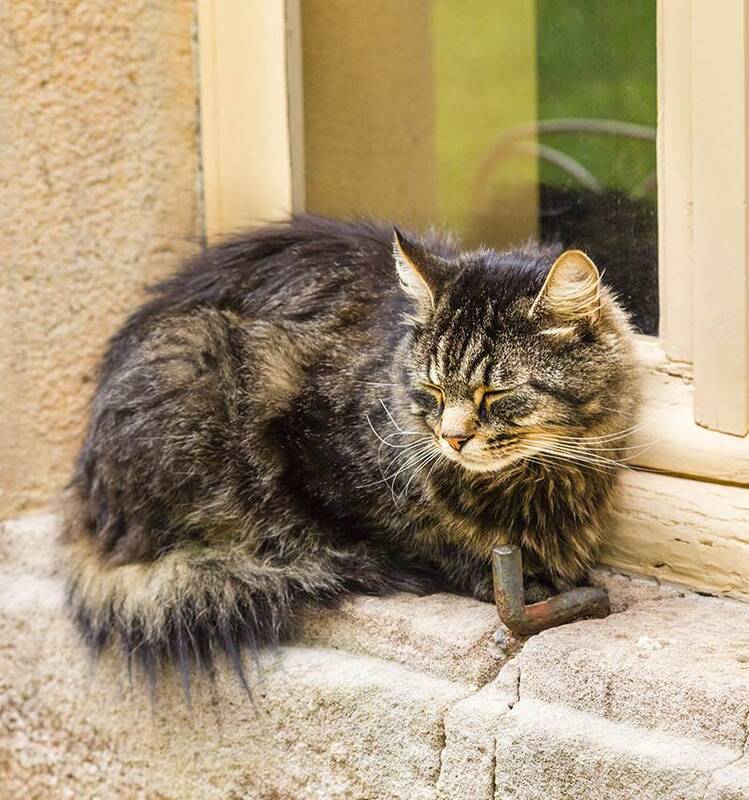 And while cats are well equipped to grip onto tree bark, window ledges on buildings can be very slippery. So if your cat enjoys the high life in your flat or upstairs rooms, make sure that the windows are kept secured. Don’t forget to share your cat’s adventures with us in the comments box below! Nguyen, H.D. “How does a Cat always land on its feet?” Georgia Institute of Technology, School of Medical Engineering. Gerathewohl and Stallings. (1957). “The labyrinthine posture reflex (righting reflex) in the cat during weightlessness” Journal of Aviation Medicine. Vnuk et al. (2004). Journal of Feline Medicine and Surgery. Whitney, W.O, & Mehlhaff, C.J. (1987). “High-Rise Syndrome in Cats.” Journal of the American Veterinary Medical Association. Pratschke and Kirby. (2006). High rise syndrome with impalement in three cats. Journal of Small Animal Practice. Warkentin and Carmichael. (1939). A Study of the Development of the Air Righting Reflex in Cats and Rabbits. The Journal of Genetic Psychology. My gray cat which I call FEARLESS, was brought to my attention by my grandson, 4 years ago. My grandson was about 7 at the time.. He saw a car going by in front of his house and he saw a woman throw the tiny kitten out of car window.. they were going fast enough and the kitten hit the wheel and was thrown in the air and fell back onto the asphalt road. The kitten was alive and he brought it in the house. They could not keep him as they had another cat so he called me. I absolutely love every type of animal, so I went to pick the kitten and brought him to a vet.. He seemed ok , he had fleas but that was taken care of. Now FEARLESS was not feeling too well these past few days so I brought him to the vet . They took an XRAY and found that the problem was because of his sternum bone area. When he was thrown out of the car and hit the road , it caused a breakage in the sternum and the fact that he survived , the vet found it astounding. the kitten at the time healed but not properly . I did’nt know this and the vet thought he was ok. So don’t think that a cat falls on all fours mean that he does’nt get hurt. Protect them please. .